Hollywood is the historic center of the motion picture industry and a major tourist destination. When it comes to entertainment options, Hollywood has more than any other community in Southern California, ranging from music venues, to historic theatres, to live entertainment. It is an energetic, urban environment. 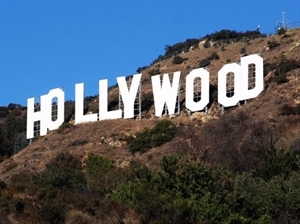 Hollywood is home to the stars and to the most recognizable attractions in the world. Walk among the “stars” on the Hollywood Walk of Fame and bring your camera to capture the world famous Hollywood sign. Hollywood is also home to the “entertainment capital in the world,” Universal Studios Hollywood, as well as studio lots including Warner Bros., and Paramount Pictures, and museums like the famous Hollywood Wax Museum and Believe It Or Not Museum. For the best restaurants and shopping, and the most luxurious hotels and spas, Hollywood is your one stop shop. Hollywood and Highland Center is a shopping mall and entertainment complex at the heart of the Hollywood district. Hollywood is amongst the most diverse communities in California. This is where people from every corner of the world meet. Hollywood hosts spectacular authentic restaurants where world-renowned chefs offer a taste of cultural foods to make you feel at home where ever you come from. Hollywood also hosts annual cultural events including the Latin tradition of “Dia de los Muertos” at the Hollywood Forever Cemetery, the Los Angeles philharmonic concerts at the Hollywood Bowl, theatre and dance shows at the Hollywood Pantages Theatre, and much more. Hollywood is on the Red Line of the subway, which is the backbone of Metro's transportation system and which easily allows access to the entire transportation system. In addition, many bus lines tie in to the subway. -Kaiser Permanente Los Angeles Medical Center (W Sunset Blvd): offers primary care, specialty care, and emergency and urgent care. -Hollywood Presbyterian Medical Center (Vermont Ave): private hospital that offers therapy services, cancer detection, cardiology and cardiovascular, surgical, and emergency services. -Beverly West Medical Clinic (Wilshire Blvd): offers services including weight loss, ENT/sinus, orthopedic, surgical, podiatry, urology, spine, dermatology, ophthalmology, and gastroenterology. -Great Care Medical Group & Dentistry (Sunset Blvd): offers dentistry services. -Hollywood Wilshire Health Center (Melrose Ave): offers health care, dental care, and behavioral and health services. -Proactive Work Health (Cahuenga Blvd): offers occupational medicine, physical therapy, and urgent care. -St Anthony Medical Centers (Hollywood Blvd): offers complete primary care, dental, and psychotherapy and mental health care. Jan 48.0 F° 58.0 F° 68.0 F° 3.1 "
Feb 49.0 F° 59.0 F° 69.0 F° 3.9 "
Mar 51.0 F° 60.5 F° 70.0 F° 2.4 "
Apr 54.0 F° 63.5 F° 73.0 F° 0.9 "
May 57.0 F° 65.5 F° 74.0 F° 0.3 "
Jun 60.0 F° 69.0 F° 78.0 F° 0.1 "
Jul 64.0 F° 73.5 F° 83.0 F° 0.0 "
Aug 64.0 F° 74.0 F° 84.0 F° 0.0 "
Sep 63.0 F° 73.0 F° 83.0 F° 0.2 "
Oct 59.0 F° 69.0 F° 79.0 F° 0.7 "
Nov 52.0 F° 62.5 F° 73.0 F° 1.0 "
Dec 47.0 F° 57.5 F° 68.0 F° 2.3 "
Hollywood’s famous weather is known for always being sunny and bright. During the summers it is warm with temperatures reaching up to the high 90’s, but there are always Hollywood palm trees around for light winds and shade. The fall and spring are fresh and cool, making comfortable weather conditions. Winters most commonly do not go any lower than 50 degrees. Do not be surprised to find everyone in flip flops and shorts on Thanksgiving or Christmas! Condos Over 50 Communities Hollywood offers various housing options including apartments, condominiums, homes, hotels, and senior living for different budgets. Based on your preference, you may call home to be in the Hollywood Hills, or right down the block from the Walk of Fame. There are more private neighborhoods as well as neighborhoods that get more Hollywood action. Home care Senior center Visiting nurses There are various senior living options that offer assistance and support. Belmont Village Senior Living Hollywood Heights (N Highland Ave) offers comfort, care, and active living. There is numerous programs and amenity options including on site 24/7 nurses and staff, chef prepared dining, and scheduled activities to offer support. Home Instead Senior Care (Wilshire Blvd) offers Alzheimer’s, Dementia, and unique 24 hours 395 days a year service care training and support, as well as monthly programs, seminars, and events. St Barnabas Senior Services - Hollywood (Santa Monica Blvd) offers programs for nutrition, social services, wellness and longevity, transportation, education, technology, and much more. Hollywood is a community that is dedicated and passionate about giving back and improving the overall well being of a variety of nonprofits that need support. With that being said, there a numerous job and volunteer opportunities available. Project Angel Food (Vine St) is 80% volunteer-driven and welcomes volunteers of all ages looking to help others, cook, and share stories with members of the community. Food on Foot (Schrader Blvd) welcomes volunteers to assist the poor and homeless of Los Angeles through food and clothing distribution programs on Sundays. The Pablove Foundation (Sunset Blvd) supports the “fight against childhood cancer with love.” There are opportunities to volunteer at community events in Hollywood including stuffing shutterbags, and/or assisting at Pablove Headquarters. Hollywood Beautification Trail is an environment improvement organization serving the community by planting trees, designing and implementing resource conservation projects, and improving school campuses, neighborhoods, and business districts.